India’s is one the fastest growing multiplex chain in India and INOX Leisure Ltd is pioneering and all set to host LIVE performances by an internationally acclaimed Korean Pop (K-POP) group IN2IT at its multiplexes at R-City Mall at Ghatkopar, Mumbai and at Crown Interiorz Mall, Faridabad. All the performances at INOX multiplexes will be a part of IN2ITXION – the group’s first India tour. This will be the first time in India of a Korean group performing LIVE inside a multiplex auditorium. IN2IT will perform at INOX R-City Mall at Ghatkopar, Mumbai on 16th April and at INOX Interiorz Mall, Faridabad on 18th April. IN2IT is a Korean band comprising of 6 boys who emerged through a difficult and rigid audition process in a show titled ‘BOYS24’ which required years of grueling preparation. The group is becoming very popular across the world through social media platforms and after launching out blockbuster tracks like ‘Amazing’, ‘Snapshot’ and ‘Sorry For My English’. With more than 1 lakh followers on Instagram, IN2IT is witnessing a rapid increase in its popularity across the globe, ever since they started performing in 2017. Besides Hyunuk, Inho, Inpyo, Isaac, Jiahn, and Yeontae, the surprise element at IN2ITXION will be the special performance by guest star Alex Christine, popularly known as ALeXa in the K-POP circuit. ALeXa is the winner of both the seasons of the talent search event Rising Legends on Soompi and is also a contestant on Produce48. The LIVE performances by IN2IT are an extension of INOX’s new and surprising entry into the genre of K-POP. Last year November 2018, INOX screened a concert film of ‘Burn The Stage: The Movie’ based on the world tour undertaken by the famous K-POP band Burn The Stage, also known as BTS. After the encouraging response at the first screening, in February 2019, INOX screened another film on the same group, ‘Love Yourself’. K-POP fans across the country not just turned out in massive sizes, but also expressed their gratitude through gifts, letters, flash mobs and fan chants. Yogesh Karikurve, Co-Founder, NAMAS-K said, “Indians are extremely discerning, when it comes to their entertainment. INOX was a wonderful choice for partnering as they understand entertainment like no one else and have also ventured successfully in this genre in the past. 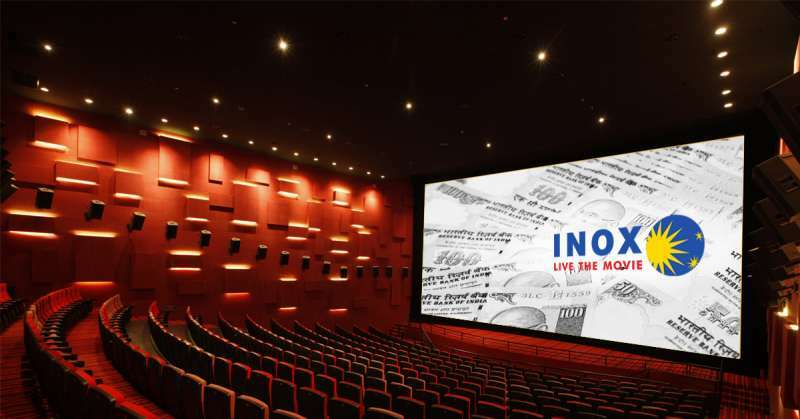 We are excited about the surging popularity of K-POP in India and are glad to take it to the next level.” Tickets for these shows can be booked from INOX’s mobile app as well as from the website www.inoxmovies.com IN2IT fans will also get a chance to buy exclusive IN2IT merchandise at INOX during the show.